In May 1962, Virginia Dwan moved to a new location, which was twice as large as her first space and was designed by Morris Verger, a student of architect Frank Lloyd Wright. 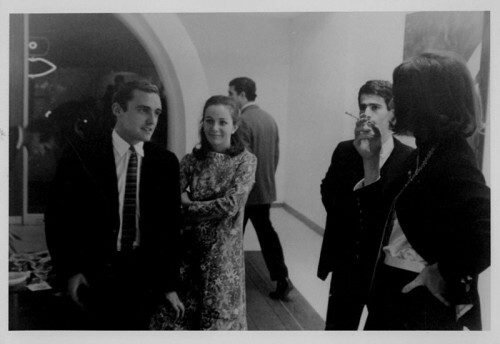 Dwan organized several influential exhibitions in her new space, including My Country ’Tis of Thee, an exhibition of Pop Art held in November of 1962. This show belongs to a substantial group of exhibitions in Los Angeles between 1962 and 1963 that heralded the arrival of Pop as a major artistic style in the early 1960s. Though My Country ’Tis of Thee focused on New York artists, it also included the work of Edward Kienholz. Another important exhibition included Boxes (1964), which featured box-shaped works by an international group of artists including Los Angeles sculptors Larry Bell, Tony Berlant, Edward Keinholz, Ron Miyashiro, and Ken Price. Dwan closed her gallery in 1967 to focus exclusively on her New York branch.